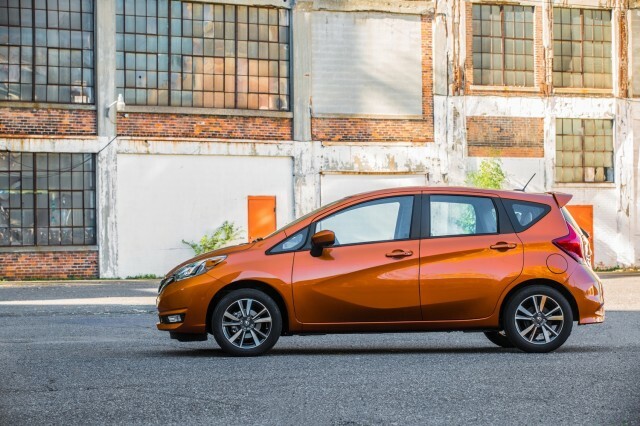 The 2017 Nissan Versa Note subcompact hatchback will appear at the 2016 Los Angeles Auto Show later this year with minor updates. Introduced to the U.S. as a 2014 model alongside the Versa sedan, the Note hatchback has never made as much of an impact here as it has in other markets. For 2017, the current-generation model will remain mostly unchanged, except for some styling updates. These include the "V-motion" grille already used on most other Nissan models, including the larger Sentra, Altima, and Maxima sedans. Nissan also made some minor changes to the interior, including larger cupholders and a second 12-volt outlet on certain trim levels. The sole powertrain option is a 1.6-liter 4-cylinder engine, mated to a continuously variable transmission (CVT). The engine sends 109 horsepower and 107 pound-feet of torque to the front wheels. 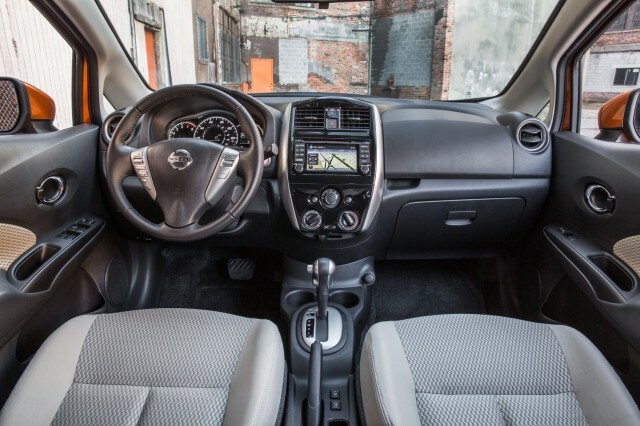 Expect the same EPA-rated 34 combined as 2016 Versa Note models equipped with the same powertrain. 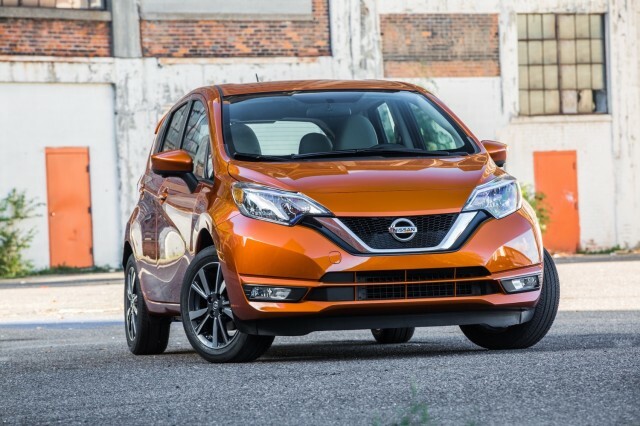 Nissan previously offered a 5-speed manual transmission on base Versa Note S models, but that option has been eliminated, along with the entire S trim level. U.S. models likely won't get the new hybrid powertrain Nissan unveiled earlier this month in Japan. Called e-Power, it propels the wheels solely with the electric motor, while the small gasoline engine only charges the battery pack. In the U.S., Nissan is dropping the aforementioned Versa Note S trim level—which started below $16,000 but was so basic that it didn't even include power windows and door locks—but pricing for other trim levels remains the same for 2017. That means pricing now starts at $16,345 (including destination) for the Versa Note S Plus model. Nissan will continue to offer higher-level SV, SR, and SL trim levels as well. Alongside the updated 2017 Versa Note, Nissan also unveiled a special edition of the Juke subcompact crossover called the Black Pearl, referencing 1978 special edition of the 280Z sports car of the same name. Both will debut at the 2016 Los Angeles Auto Show later this month, along with one other new model. To find out what that model will be, and keep up with other show happenings, head over to our Los Angeles Auto Show news page.